Seen anything interesting lately around Oklahoma City? This post is “stuck” to the top of the page; scroll down for latest news. 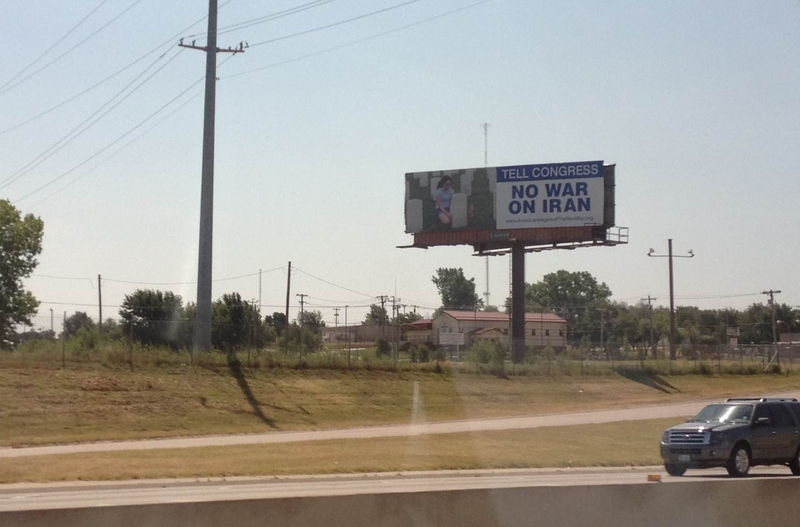 AANW is sponsoring three billboards in the OKC metro area that will be up for at least five months. They went up on July 6. Our purpose is to raise awareness and begin a conversation between citizens and their elected representatives. We hope you will participate in that conversation. What do you think about the prospect of another US war in the Middle East? Think we have another few billion dollars to spare on it? 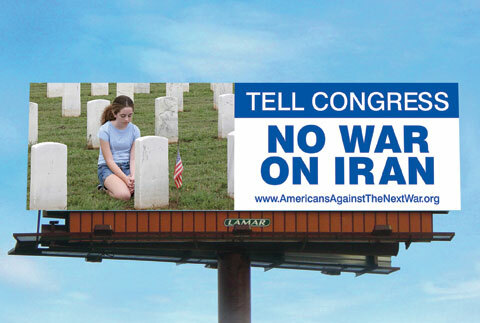 Think sacrificing another 4,000 American lives on a war of choice is a great plan? We think the answer to those questions is NO! 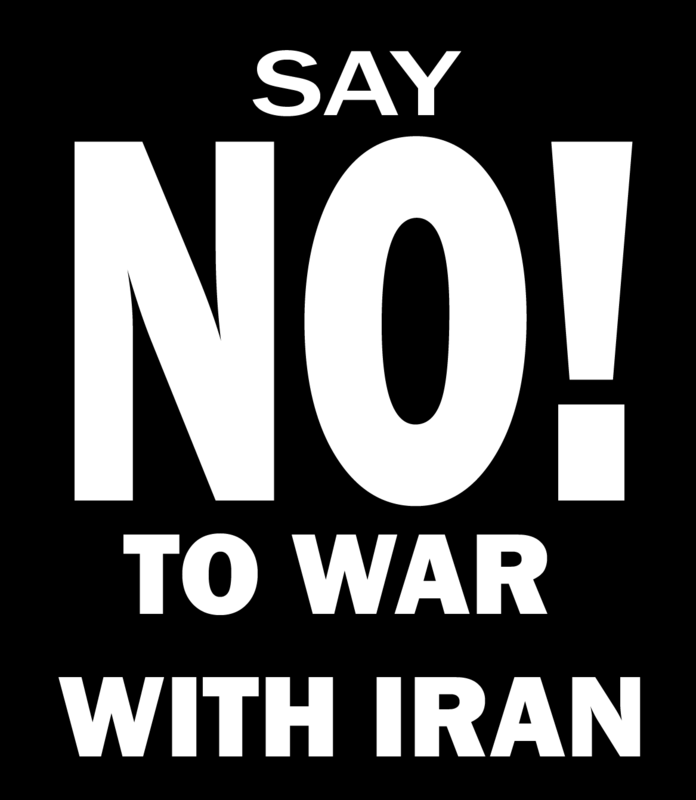 We encourage you to tell Congress “No War on Iran” and stop the chance of yet another military quaqmire that doesn’t increase our national security one bit, but actually perpetuates and increases the hostility and bloodshed on all sides. Let’s use reason, diplomacy, and international negotiations so that we can all live in peace, with mutual respect and cooperation. It can be done — if we the American people demand it! For more info about the campaign, watch this space — announcement scheduled for July 10.